Currently I have just moved house and wanted to get my broadband upstairs to stream Videos and mainly HD content to my daughters raspberry pi. My old house I used cables to run from down stairs to upstairs which is unsightly and a pain to do but that said its is definitely the best way to do it for maximum speed. This time around I thought I would give something else a shot a powerline, heard a lot about them and was a bit sceptical having used wireless and dongles I could never really receive good speeds unless I was hardwired to the router. I bought myself TP-Link TL-PA211KIT AV200 Nano 200Mbps Powerline Adapter – Twin Pack there were around £14 from Amazon. When they came I plugged one near my router and one in my daughter’s room, both plugs came with and an ethernet cable each RJ45 cat5. I plugged one to the router and then connected the other from plug to raspberry pi. After that its was as simple as pressing the pair button on the plug near the router then the one in my daughters room to pair them together, few seconds of flashing I got green solid lights on both very simple set-up. The important bit what speeds am I getting? Well for being rated at 200 mbps I am getting 150 Mbps this is excellent not exactly 200 mbps but still thats fast enough for what I need it for. I am happy with this thats around 18.75 MB/s Perfect for streaming HD content music good even for gaming and downloading. 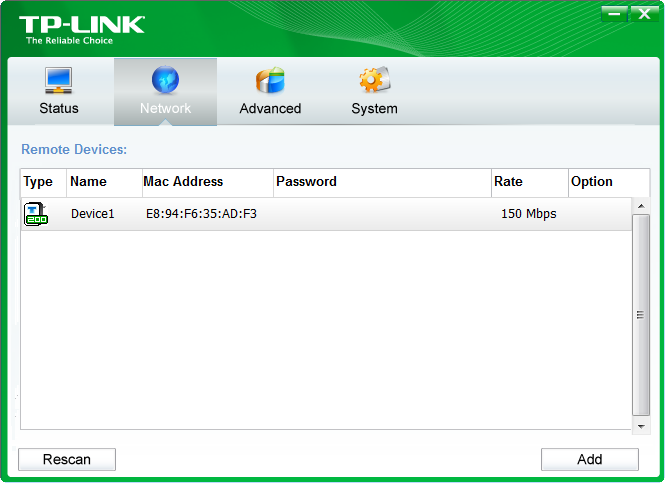 To see the speeds I was getting from the powerlines I downloaded a utility from the TP-LINK website. You can change the Network name from this utility and also add passwords this maybe what was on the cd in the box but I don’t use disc drives so couldn’t say for sure. How do they work? Well all I know is they use your existing wires through the house to send the data through them its that simple really. Now I will probably buy another pack of these I might try the 500 mbps ones next that will be 3 rooms with internet upstairs great stuff. I think its best to stick with same maker although most are compatible with each other with the HomePlug AV Standard. These plugs can come with Wifi extenders more ports on the plugs and an extra plug socket so you don’t lose a socket. They could also be used on a gang but make sure its is not surge protected if you’re short of sockets. Power consumption the have a power feature that when not in use they will save 75% after 5 mins and wattage of 2 when in use which is not to bad. Personally I think they are a great edition to my network and will use them again when I can afford a tv in my own room!